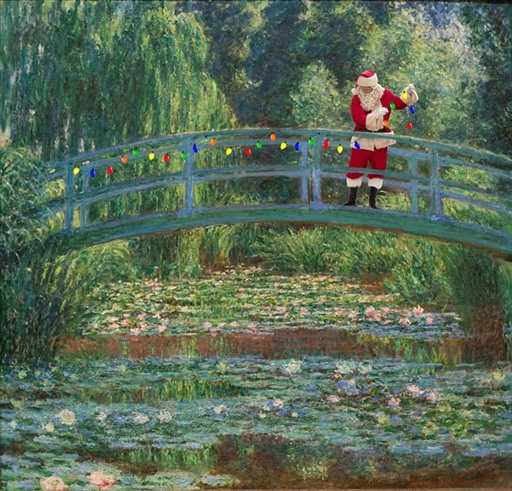 I was honored that the Monet Foundation Giverny used the Santa Classics version of the Japanese Bridge for their holiday card to their sponsors in 2016. The Philadelphia Museum of Art used it for a holiday post in 2017 and got over 10,000 views. 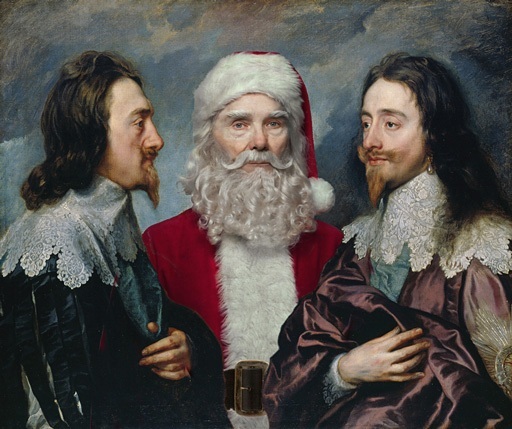 Van Dyck, who had been appointed the principal painter of Charles I, was asked to paint the king from three sides. The portrait was sent to the sculptor Bernini in Rome, who had been commissioned by Pope Urban VIII to make a bust of King Charles. The Pope wanted to give the bust to Charles’ catholic Queen Henrietta in an attempt at reconciliation with the Church of England. The final sculpture was a big hit with King and queen, but sadly it was destroyed in the Whitehall Palace fire 1698.